Dell and Microsoft: Partnering On Managed Services? 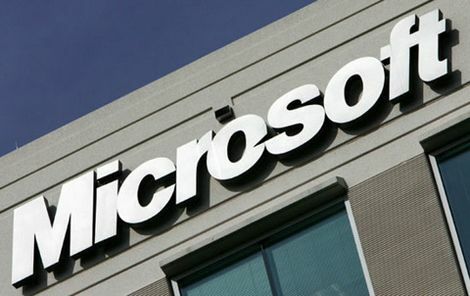 Short term, Microsoft and Dell are launching joint marketing efforts for corporate IT management solutions. Long term, it's clear to me that Microsoft -- at some point -- will make a subtle tweak to its System Center Management solution and begin to target managed service providers. Short term, Microsoft and Dell are launching joint marketing efforts for corporate IT management solutions. Long term, it’s clear to me that Microsoft — at some point — will make a subtle tweak to its System Center Management solution and begin to target managed service providers. First, the current facts: Microsoft and Dell plan to host an online event later this month. (We’re not involved but I’ll try to track down a link for readers.) The focus: Using Microsoft System Center Management to deploy, diagnose and configure Dell OptiPlex PCs. For the short term, System Center Management focuses on internal corporate IT managers. But longer term, it’s easy to imagine Microsoft broadening the effort to target managed services. Either way, I expect Microsoft to increasingly compete — and cooperate — with MSP-oriented tools from Kaseya, Level Platforms, N-able, Nimsoft (and a long list of additional vendors). Yes, companies such as Level Platforms and N-able are quick to note their relationships with Microsoft. Just yesterday, N-able CEO Gavin Garbutt blogged about his company’s momentum and Microsoft relationship. But competition (along with that cooperation) with Microsoft seems inevitable to me. Already, Kaseya and Nimsoft aggressively promote their MSP tools directly to large businesses — meaning that they could potentially compete with Microsoft System Center Management in selected areas. Longer term — as Microsoft continues to test a rumored MSP project — I do expect the software giant to offer its own solutions to MSPs. Brent: You know I already agree with you. But I wonder if our readers agree with us. Folks? I can’t see MS as a full blown master MSP but I do see them doing a lot of research into this market which tells me they are interested. Where I think it will end up with MS is they will improve System Center to the point of it being a full-blown internal monitoring and management tool that is offered as an addition to Windows for the medium to large enterprise. It may even monitor and manage other non-microsoft products but it will do one heck of a job with Exchange/SQL/Sharepoint, etc. And probably integrate into Dynamics CRM somehow…..thus the wide adoption due to integration. Shane: You hit on several hot items, but I think your point about managing sharepoint is a great one. Sharepoint seems to be the application that’s growing out of control within enterprises. I wonder if System Center will be the tool that restores order. Yes, that’s what my bets would be on. Microsoft knows that so many organizations have these technologies enabled – now they just need to give them the tool to monitor/manage…even remotely. And what’s next? Well…in my mind it would be offering this tool to all of the growing SaaS deployments of exchange/sharepoint/dynamics. Shane: Exchange, SharePoint and CRM Dynamics — you’ve nailed it. That’s Microsoft’s SaaS power trio, and they will need remote management as you point out. I agree that Microsoft has not built their business on giving stuff away, but they will most likely seed it in such a way as to ensure that every reseller and service provider out there gets a free copy as part of their MSDN licenses (They already do to some extent). I think everyone needs to have a Microsoft MSP strategy in the works. Embrace and Extend! That’s how Microsoft does it and that’s something that we can all learn from. Derik: I’d go one step further. Yes, all MSPs do have to have a Microsoft MSP-oriented strategy in the works. You can’t ignore that company. However, MSPs have to push beyond some old habits and old learnings. Most VARs that introduce managed services have some sort of Windows NT Server expertise in-house. So there’s a temptation to apply Microsoft-centric solutions to the MSP world. However, Mac OS and Linux are the two fastest growing platforms, and virtualization has freed customers to pick-and-choose the server systems — and now desktop systems — that work best for them. Plus, mobile devices (iPhone, RIM Blackberry, etc.) offer even more complexity that MSPs will need to manage. Yes, MSPs should sort out a Microsoft-related strategy. But freedom of choice means customers will demand managed services for a range of non-Microsoft solutions. The biggest question we are asked on a regular basis at N-able is: How do I differentiate myself from every other service provider out there? The most logical answer is to move beyond standard Windows Desktop/Network/Server management and into other critical platforms, devices, environments (Printers, mobile devices, virtual environments, Linux, MAC, etc…). Don’t get me wrong, managing Desktops, Networks and Servers are the bread-and-butter of the industry, but extending your service offering and embracing your client’s “complete” environment is a lucrative way to dig yourself deeper within that client. Great points and I would take this just one more step further. Don’t just create satisfied clients…create loyal clients….it’s much more profitable. And to do that, I think MSPs need to think about the next step which is providing value way beyond hardware/software. Clients don’t care about it. What they care about is the benefits of it. Give clients something exceptional and they will become loyal.